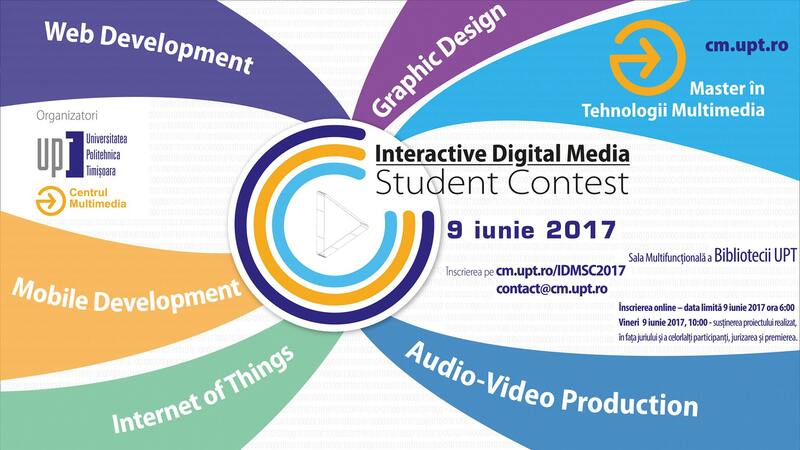 On the 9th of June, we will be participating at the 2017’s edition of the Interactive Digital Media Student Contest, where we will be part of the jury and will award one of the projects from the contest. 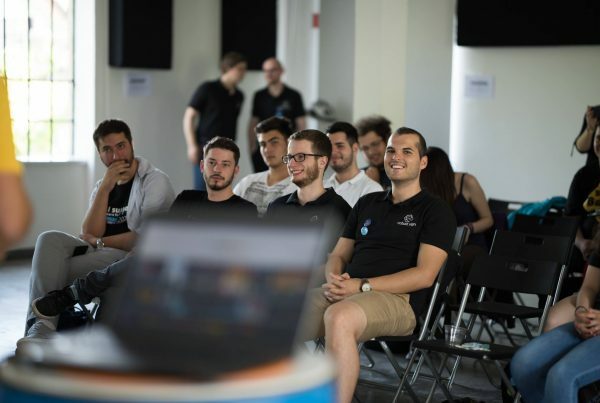 The competition is organized by the Multimedia Center from the Politehnica University of Timișoara and it has reached its 4th edition. University but also high-school students from Romania and abroad can register to the contest. IDMSC is aiming to stir up the participants’ creativity and it gives them the chance to present their most important & interesting projects. The 5 sections of the competition are Web Development, Mobile Development, Audio-Video Production, Graphic Design and Internet of Things. 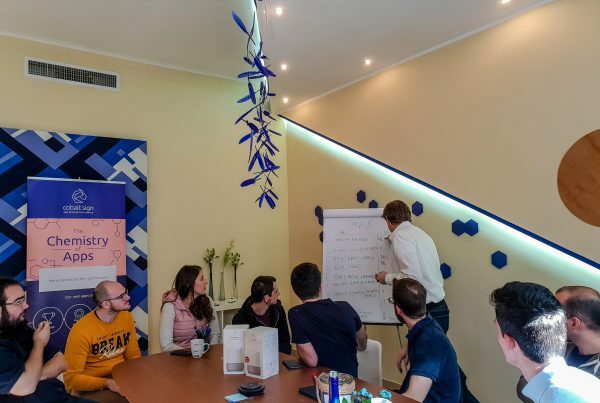 We will be part of the jury at the Mobile Development section, where we will look at the apps’ accessibility, usability, aesthetics and complexity. 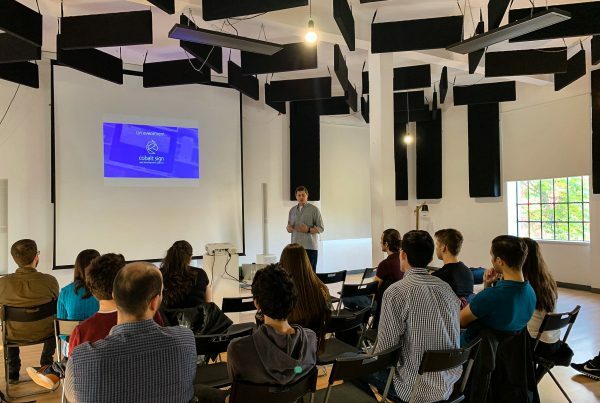 Students will also talk about their marketing strategies, how and what methods will be used to promote these apps and what impact they will have on their users. Then, we will award one of the projects from IDMSC which fulfills most of the requirements. Stay tuned to find out who will receive the Cobalt prize! Also, if you would like to register for the competition or you would just like to find out more, visit http://idmsc2017.cm.upt.ro.